I announced it a few weeks ago and that’s now a reality. The Summerschool 2.0 is THE learning event of this summer @ FODSZ SPFSecu. Sometimes, I have dreams… and my team makes them come true. So thank you Marleen, Maryline, Els, Ilse, Jean-Claude, Marie-Louise, Pierre and all the trainers! We want to increase the awareness of the importance of the social media for the civil servants’ life, both private and professional. Doing so, we increase the use of the social media, improving the communication and stimulating the innovation and initiatives. We find really important that our colleagues feel comfortable with these new communications tools. And we also find important to use these tools to support our values : respect, solidarity, self-development, result orientation and trust. For the introduction, we created with mRH a short clip. Our Minister for Economy and Public Administration Vincent Van Quickenborne, the President of the Social Security Ministry (FOD SZ, SPF Sécurité Sociale) Frank Van Massenhove, the project leaders Marilyne Damme and Ilse Buyens will tell a few words abour the importance of the 2.0 for the public administrations. The introduction to 2.0 will be given by Frédéric Williquet from SDworx. The other workshops will be given by colleagues from our organisation, supported by Sara Jane Deputter from the Ministry of Economy. I told you. I have million dreams. That’s why I asked Loïc B.O to be associated musically speaking on this project. His album Million Dreams is so great, quiet and inspiring. Restless will be our soundtrack. 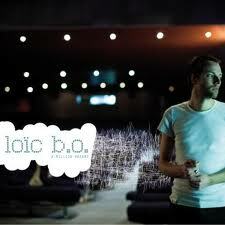 http://www.myspace.com/loicbo/music/songs/restless-65951234 – Enjoy it! Thanks to Telemak, we will post all the videos of each workshop on a streamline website. You missed one workshop? It will be available early September on the web! And for free, of course! We propose to 20 people who follow us on Twitter, Yammer Communities or Facebook to join these sessions. We talk about 10 FR and 10 NL (first in… firts in ;-)). Just pick up your session and send an email to summerschool2.0@minsoc.fed.be. We will confirm your inscription later on. We look forward to meeting you in the real life! I tried to subscribe trough mail address but received an error.